One of the perks of our affiliation with the Kia Oval, is that now and again we get to be in front of, and not behind, the scenes. Last night, some of us went down to the Jardine Suite and spent the evening watching, and joining in with, a few games of darts. 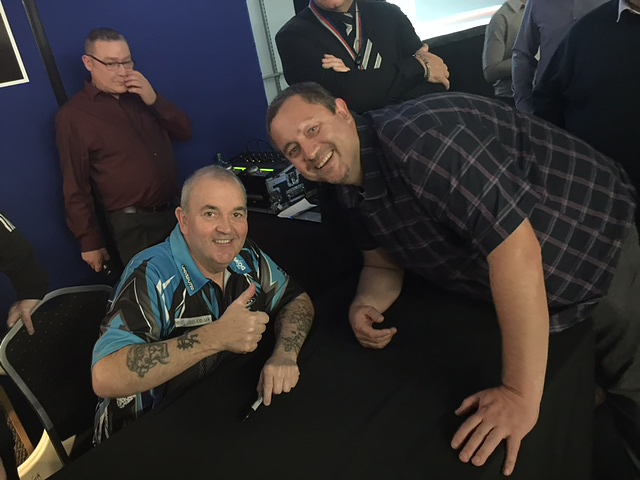 Following on the success of last year, Steven booked a table at the Kia Oval Darts Masters, and certain members of the team were very excited at the prospect of playing against one of the greatest darts players in the history of the game, Phil Taylor. The Power was also joined by fan favourite Wayne ‘Hawaii 501’ Mardle, and two of the top female stars Fallon Sherrock and her Australian rival Corrine Hammond. The evening was a great mix of fun with plenty of darts action, and some especially epic rounds from our own team, with Gareth playing against Wayne Mardle, and then later in the evening Patrick took on Phil Taylor himself. While neither won their games, both played well and they held their own against the seasoned professionals. As always happens when the team are out together, despite the fact that they are having fun, each team member can’t help but systematically start analysing the set-up as well as the technical and locational aspects of the event, which they can alway imagine to be bigger and better wherever they go. Such is life with the Events team, they don’t just do a 9-5 job, they literally live events. 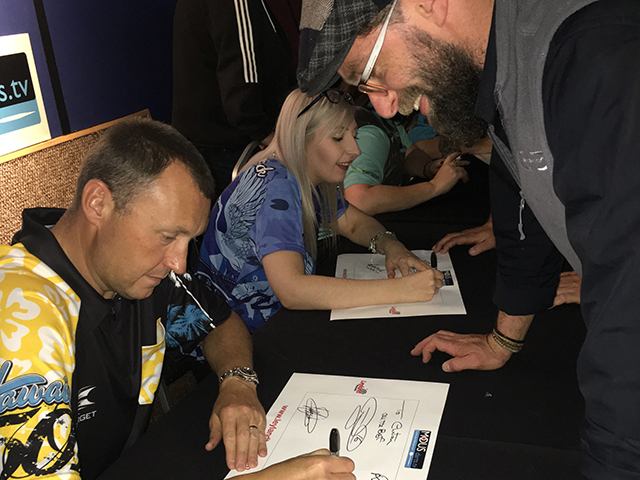 Overall, it was a great evening with great darts entertainment and a wonderful opportunity for fans to get signed merchandise and personalised photographs with the players.